The truth is most of the ideas we see being used by popular brands are not new. Ultimately, it’s not so much what you say as how you say it. Challenge yourself to breathe life into tried concepts and make them feel fresh and new to your audience. You don’t want your trademark to be too simplistic, so as not to seem dull. However, you also don’t want your branding to be overly complicated, because that can be distracting to your customer and take away from an overall positive response to your product or service. Consider some of the more well-known brands on the market today, and you’ll notice their logos strike the delicate balance between effortless and memorable. Your design should bring clarity, be beautiful to look at, and tell the story of your company all at the same time. Your logo is often the first thing a customer sees when they come into contact with your brand. Whether you run a brick and mortar enterprise, or your business is based online, your logo sets the tone and energy of your brand’s experience. Branding lets the consumer know who you are, what you have to offer, and your logo should reflect those tenets. How do I want this branding to make my customers feel? What do I want the customer to walk away with? Throughout the long term growth of your business your logo will become synonymous with the feeling invoked by your brand. 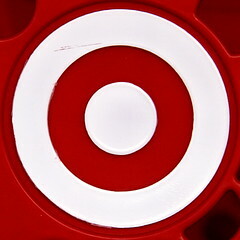 Think of the logo design used by Target™, the Bullseye. A bullseye says you hit the mark, it connotes success; and by extension you are made to feel successful by shopping at Target. The design is simple, yet suggestive, and is now synonymous with the company and a pleasant Target shopping experience. The right design can lead to brand equity value in the multi-millions. It’s important that your branding strategy leaves room for growth, and continued connection to your customer base. Branding should definitely go beyond your logo. It should seep into every feature of your business. From the look and feel of your store or website, to the language used in your marketing plans, it should all reflect a cohesive message. As your brand begins to grow, you want always to be looking for ways to reinvent and disseminate. To go back to the Target™ example, the company now has an entire Bullseye line devoted to its brand visibility that includes everything from tote bags, to baby socks, and a whole host of other paraphernalia that all bear the prominent Bullseye logo. In your case it may it be hats embroidered with your logo, or a removable tattoo you can give to kids. It all depends on your product and your brand, but the key is increasing the exposure of your brand, and having an item that customers will walk away with, and that others will see. Brand development is a major step, for which the efforts are well worth the while. Getting customers to buy into your brand and your product is half the battle when it comes to creating a successful business. In the end, it’s all about perception and staying memorable. The right branding can get you there. Graphic designer Debbie Nguyen has helped many businesses keep the integrity of their brand intact by not letting any of the elements get watered down. She recommends using Brand Fever and strict adherence to your Corporate Identity specifications for complete success with your business image. Next Next post: What Movie Should I Watch on Netflix?